The world's eyes are on North Korea more intensely than ever before following months of threats between US President Donald Trump and the secretive country's leader, Kim Jong-un. The two men held historic talks in Singapore in June and signed a joint agreement which included a pledge from Mr Kim to rid the Korean peninsula of nuclear weapons. It is against this back drop that former Moderator of the National Youth Assembly, Andrew MacPherson, attended a peace conference in Hiroshima, Japan and visited the demilitarised zone between North and South Korea. Writing in his own words, the Broxburn Parish Church member reflects on a journey of a lifetime. 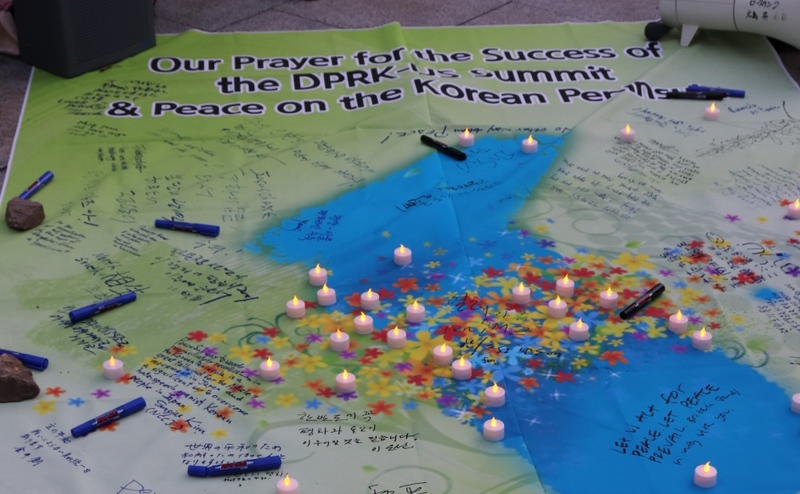 Christians praying for peace on the Korean peninsula. Andrew MacPherson. When the atomic bomb was dropped on Hiroshima, the fear wasn’t just brought about by the destruction it caused, but also the unknown. Many people in the city had never heard of the atomic bomb and the question asked by a little boy is a chilling reminder of how frightening and confusing the situation must have been. Seventy three years have now passed since that day and Hiroshima is once again a thriving city, but regional threats from nuclear weapons are still present, with the situation on the Korea peninsula so close-by. Against this backdrop, the 6th Global Inter-Religious Conference on Article 9 took place in the city in June this year. 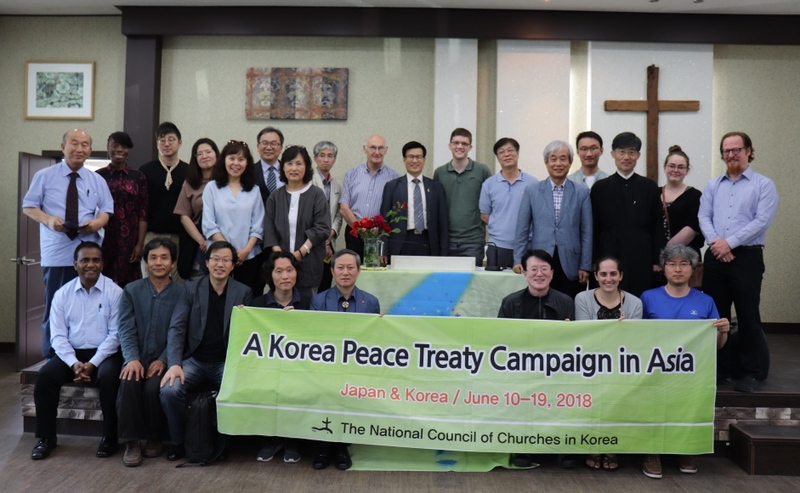 It was an opportunity for local and international religious groups to re-affirm their backing to Article 9 of the Japanese national constitution, which renounces war and prevents the nation holding military forces with the exception of self defence purposes. I was to present my own views on Article 9 but I had limited experiences to draw on. I grew up after the Cold War had finished and any significant military activity since has taken place away from the country I have grown up in. Despite this, war and violence does not seem far away, we see it on a daily basis on the news, on social media, projected into our hands for all to view. 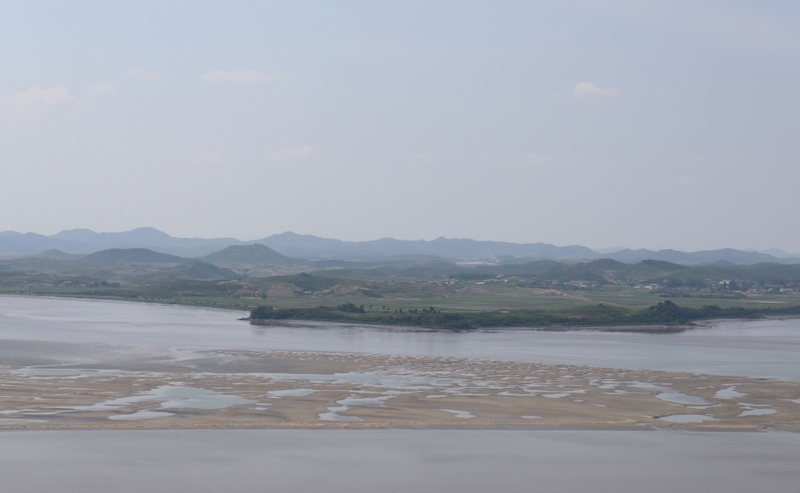 As we travelled on to South Korea and the border area of North Korea, my eyes were opened to a different way of life and yet it was not much different from what you would see anywhere in the world. We travelled to areas just a handful of miles from the North/South Korean border and yet, if it wasn’t for the barbed wire fences, the guard posts, the heavy military helicopters, you wouldn’t have known of the dangers just a mile or two away. Standing at the Odusan Unification Tower it was suddenly there across a short stretch of water - North Korea. I’m not sure what I was expecting to see, flags flying, shrines to their ‘great leader’, people marching along the road, but there was none of that. Instead, it looked like it could have been a small village anywhere and it seemed a little perverse to be peering through binoculars at it, as though it was some alien planet. North Korea from the Odusan Unification Tower in South Korea. Andrew MacPherson. I started to realise that all I knew of North Korea was the brief glimpses on the news of the extreme propaganda pumped out by the small nation to news agencies more than willing to lap it up. I knew nothing of the people and yet here I was, in the border area with people who had both lived in and visited North Korea. Life in North Korea is desperate, food is scarce, power is scarce and this needs to change. There are signs of hope that this may begin to change soon but not without God. We must pray for the people of North Korea, for peace there and around the world. Japan’s Article 9 is something they should be proud of, this trip opened my eyes to life in a country so close to ‘war’ and made the evil of it seem even clearer than it was before. The country is already a beacon of hope to the world, changing their ways from the horrors of their past actions, to their attempts to bring the world to peace, we must pray that more countries follow suit." Andrew MacPherson (centre) and conference delegates. Mr MacPherson's visit was organised by the National Council of Churches for Korea and the National Council of Churches for Japan. The Scottish Korean War memorial in located in Linlithgow, West Lothian. 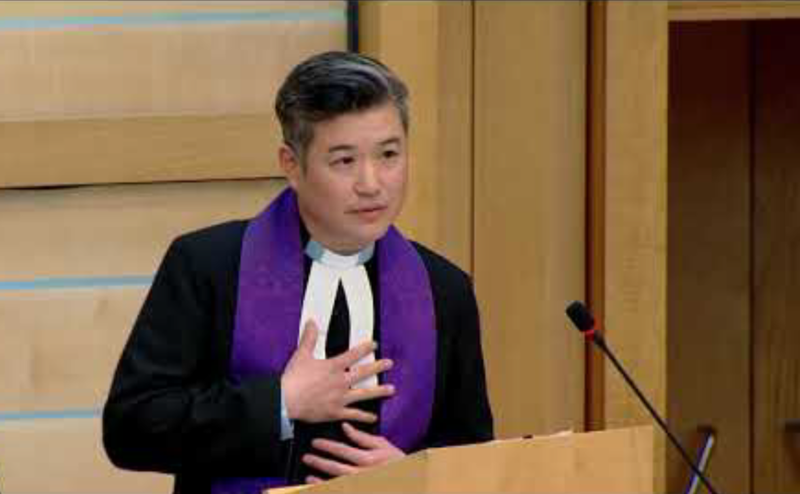 Korean Christians have a special connection to Scotland because it was Balintore-born missionary, Rev Dr John Ross, who translated the New Testament into Korean and helped establish Christianity in Korea. 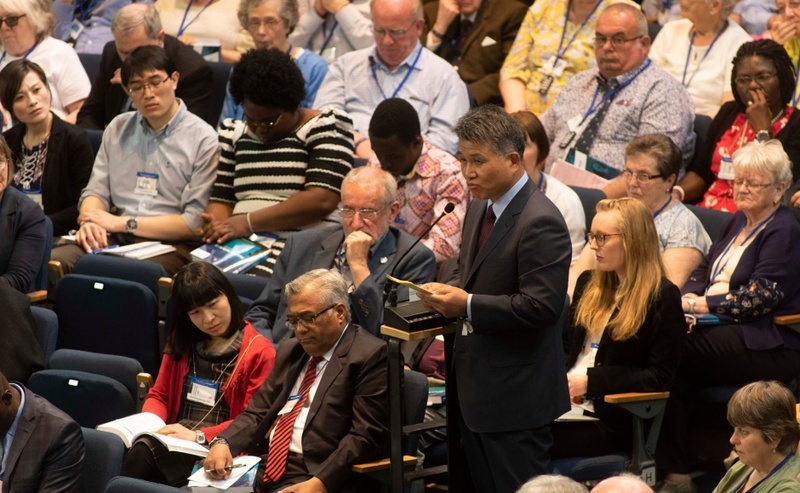 The Church of Scotland is a member of the World Council of Churches Ecumenical Forum for Peace, Reunification and Development Cooperation on the Korean Peninsula (EFK). The World Mission Council of the Church of Scotland is partners with two denominations in South Korea.